Weekly Happenings: This past week was rather fun, for the most part. We celebrated Valentines’ Day (what I affectionately call “Love Day) by getting everyone a little something (we keep it pretty low key and involve the kids, too) and going out to one of our favorite non-fancy places to eat (good food and avoiding the crazy holiday dinner crowds). We also all tried to stay one step ahead of the baby-who-gets-into-everything-and-then-puts-it-in-her-mouth. 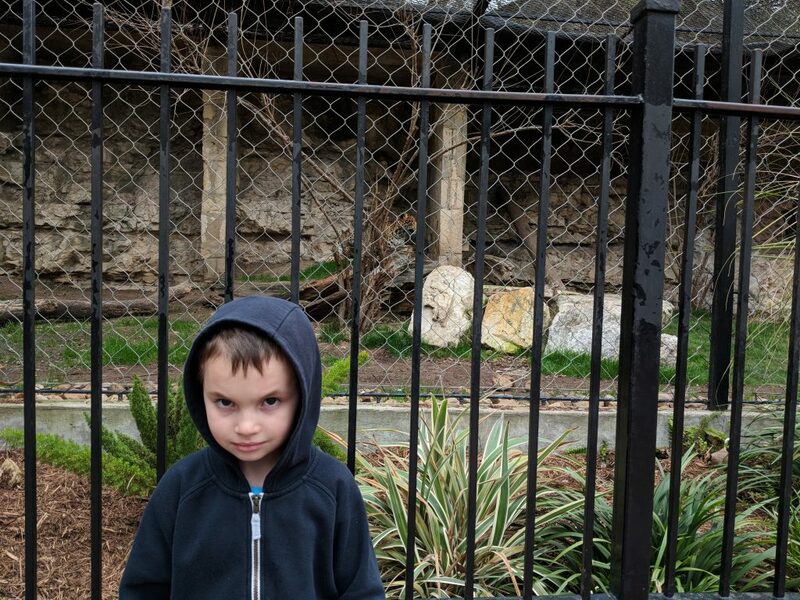 Yesterday, we decided to head out to the zoo again (have I mentioned that I love having passes?) which both kids loved. The Weekly Weather: It was pretty much a rinse and repeat of the previous week: literally a little bit of everything. What Paul’s Been Up To: He’s been busy with work and school. 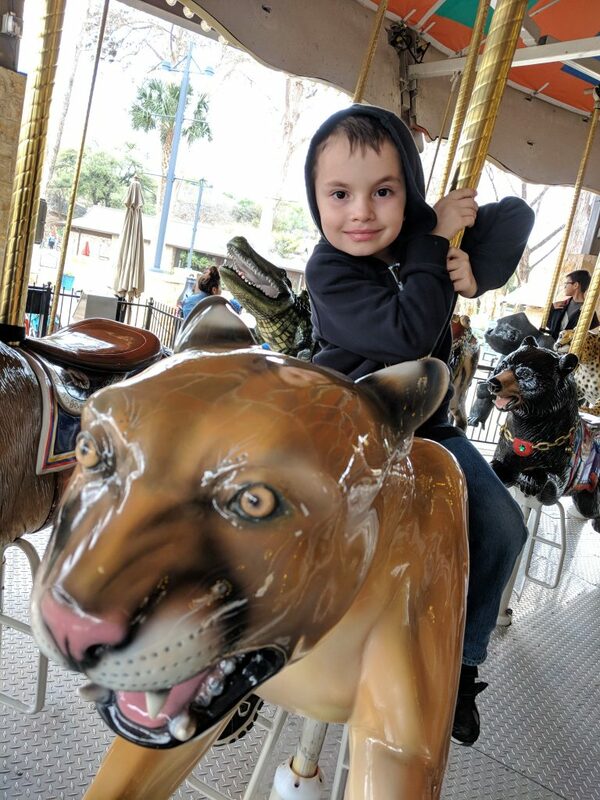 He also went to the movies with one of his friends, which was a nice break for him. What Sarah’s Been Up To: Not too much out of the ordinary on my part, either…mainly just keeping up with the kids’ schedules. What Joseph’s Been Up To: He enjoyed school this week as usual (including getting to pass out valentines to his class). I went to his parent teacher conference and his teacher says he’s doing really well. 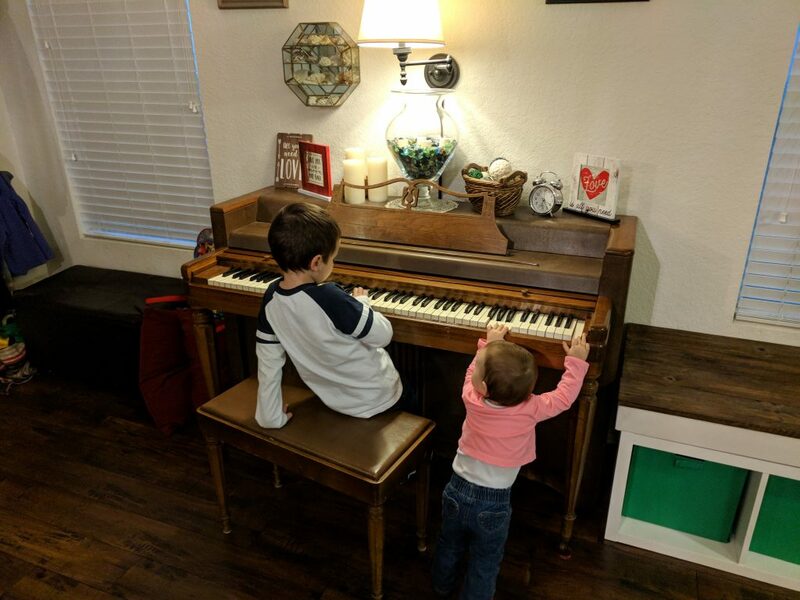 She’s kept busy with trying to find things that will challenge him and has come up with some really great ideas (some project-based learning and other things) that he enjoys. He loves coming home and playing with Abigail every day, which makes my heart happy. 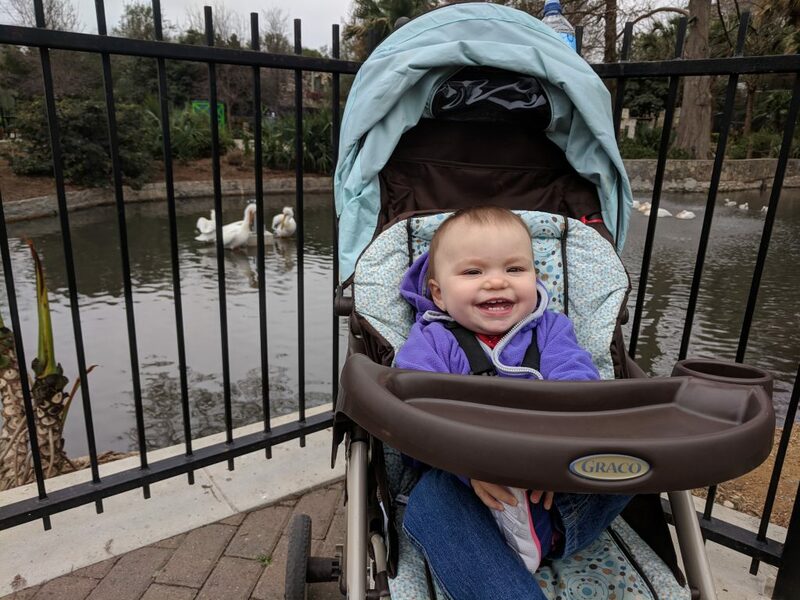 What Abigail’s Been Up To: Unfortunately, her cold made her get an ear infection. I had taken her into the doctor the week prior and they said that one ear had a lot of fluid and the other had some fluid and a lot of wax, but neither looked infected. They had me bring her back in this past Thursday to check and see if they had drained. The one with a lot of fluid had almost completely drained (that was the one the doctor was most worried about), but the other one (which hadn’t looked too bad the previous time) was all sorts of infected. So she’s been on antibiotics for that. Luckily, she has been willing to take her medicine without fighting me (so far…we still have about a week to go with it). She hasn’t really been acting sick, though. As I mentioned before, she has been getting into ev.er.y.thing. 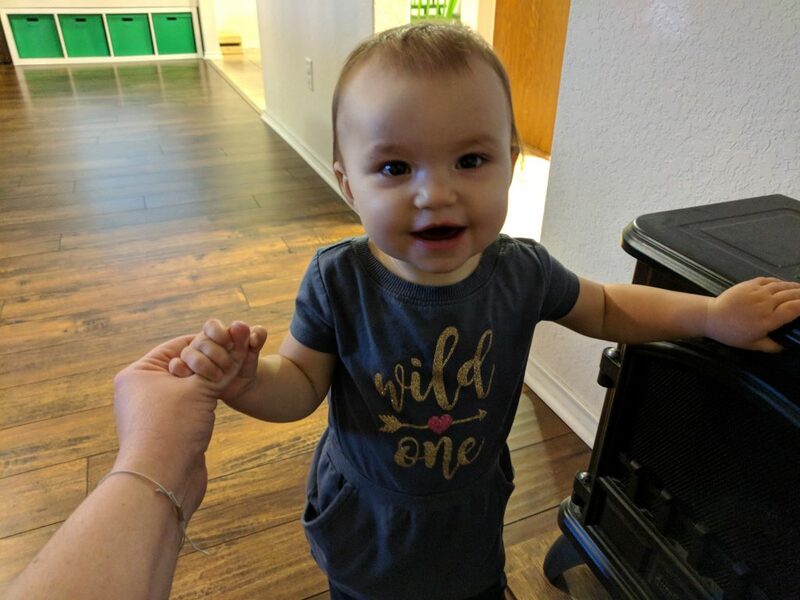 Some other developmental things I’ve noticed this week: “singing” when she hears music, bouncing along to music playing, and getting excited when she realizes we’re putting Baby Einstein on the TV for her. She’s seen the episodes a lot, so she recognizes them when they come on. She can even recognize when one of her favorite parts of an episode (when the puppets come on and do The Wheels on The Bus, if you’re dying to know, haha) is about to play. I find it rather amusing. 🙂 She also loves pulling herself up next to things (tables, couches, etc. 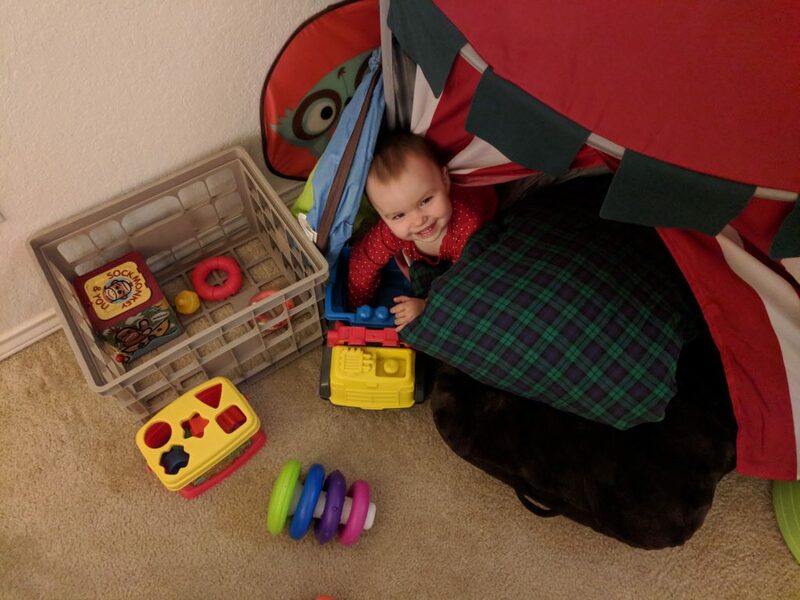 ), has even “furniture cruised” a bit, but has yet to figure out how to get out of a standing position without falling (luckily, nine times out of ten, she usually just plops onto her bum, which is thankfully well-padded). 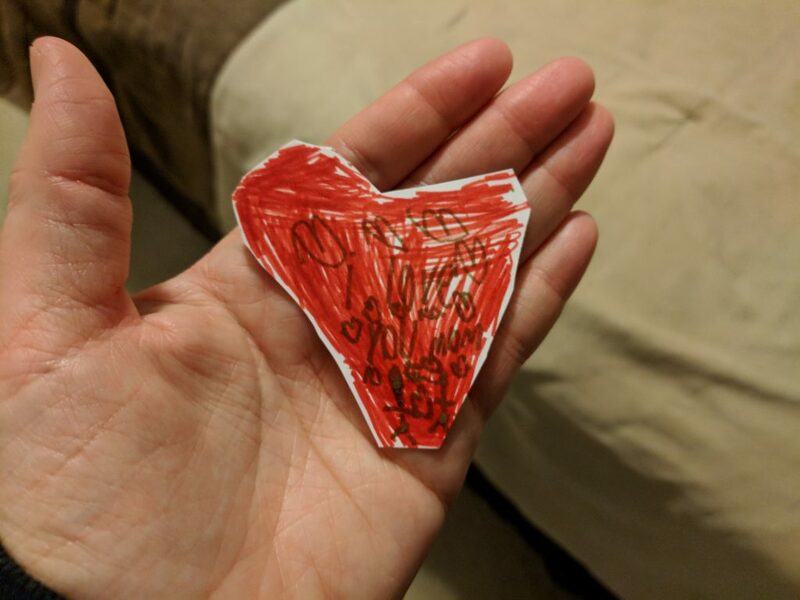 Love note from my sweet boy. This tunic was in a bag of hand-me-downs from a friend. I thought it was perfect for Valentines’ Day. 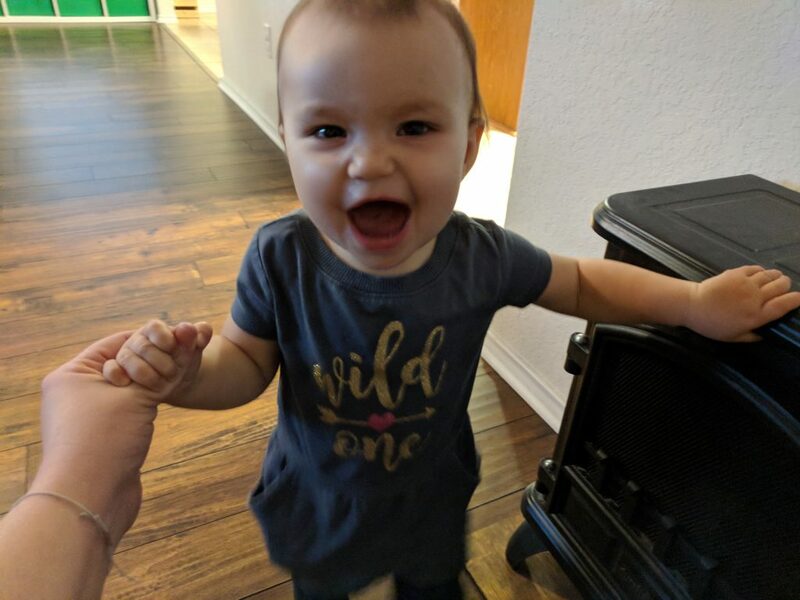 Yup…she’s a wild one for sure. 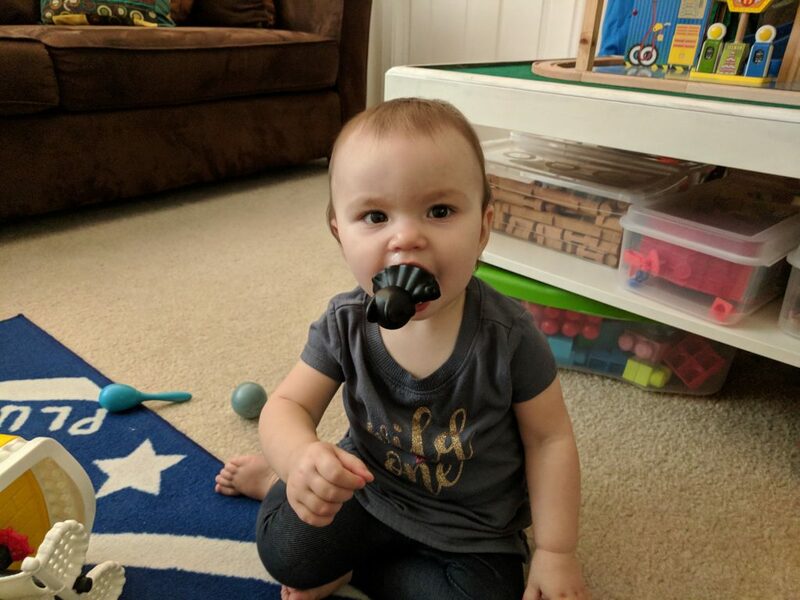 She was crawling around with poor Batman in her mouth…I think it felt good to bite down on it (she’s pushing out her molars right now). 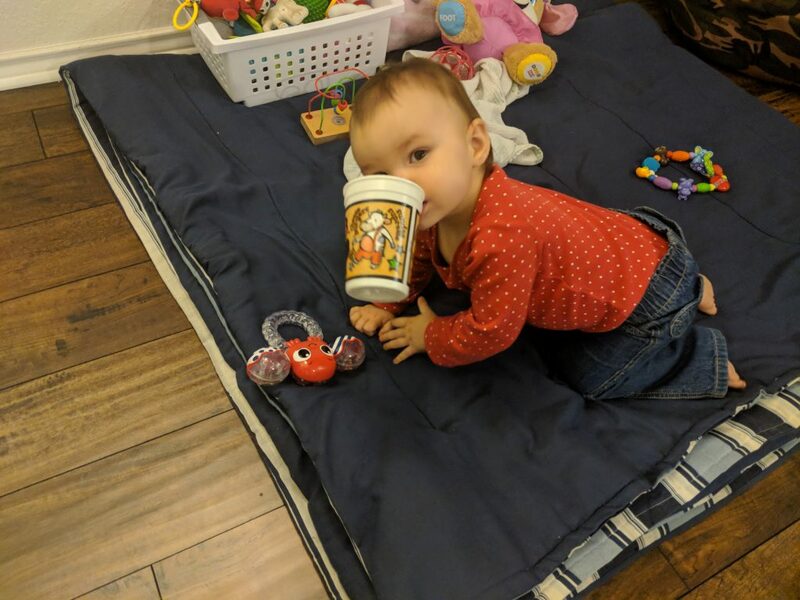 She also would crawl around with this kids’ cup in her mouth…it will be good when those teeth break through! 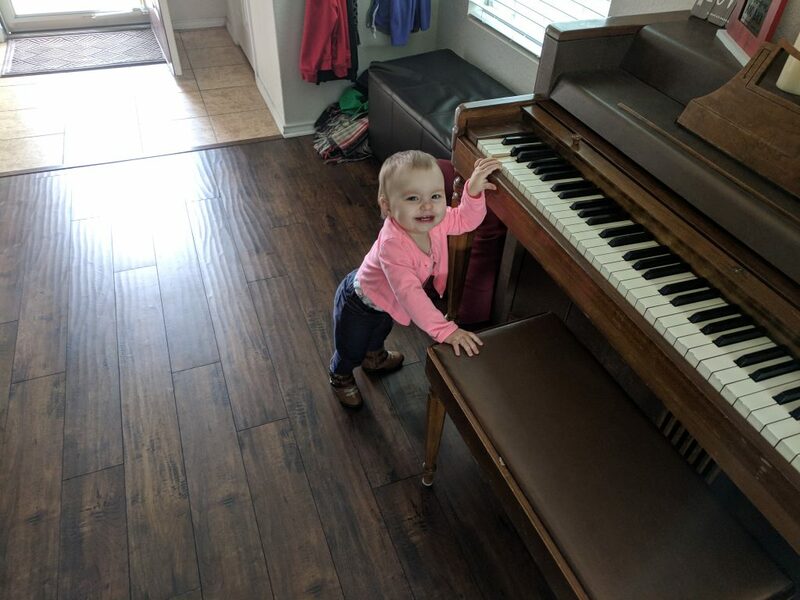 She loves being able to reach the keys on her own. 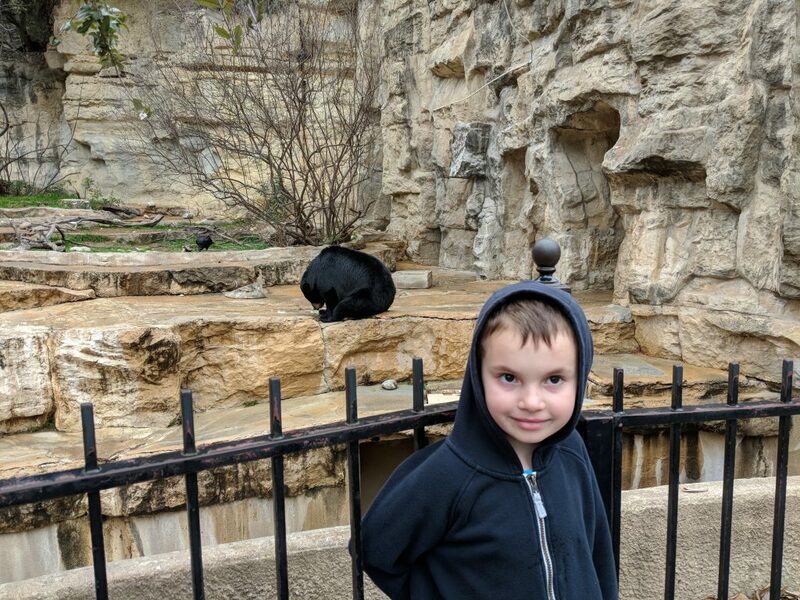 With the black bears at the zoo. In front of the jaguars (who are sitting on the rocks back there…their camouflage is pretty amazing). 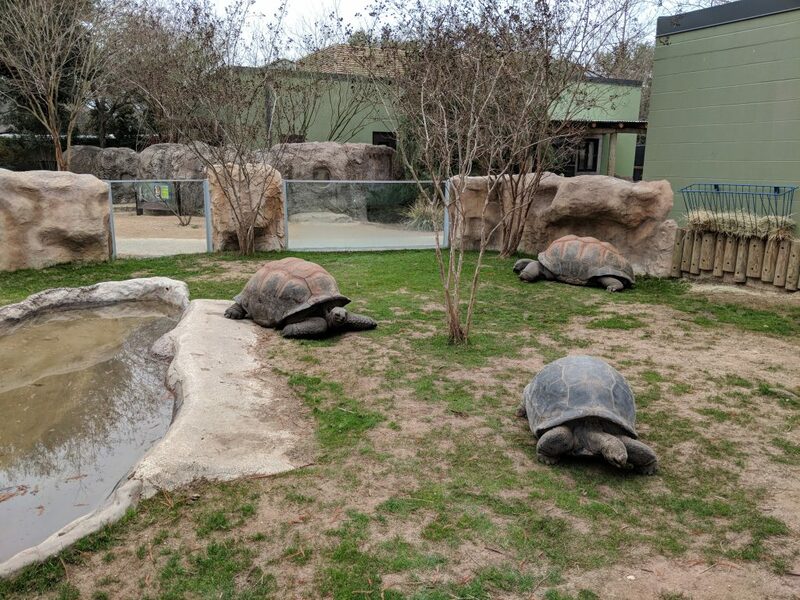 These giant tortoises are pretty cool. 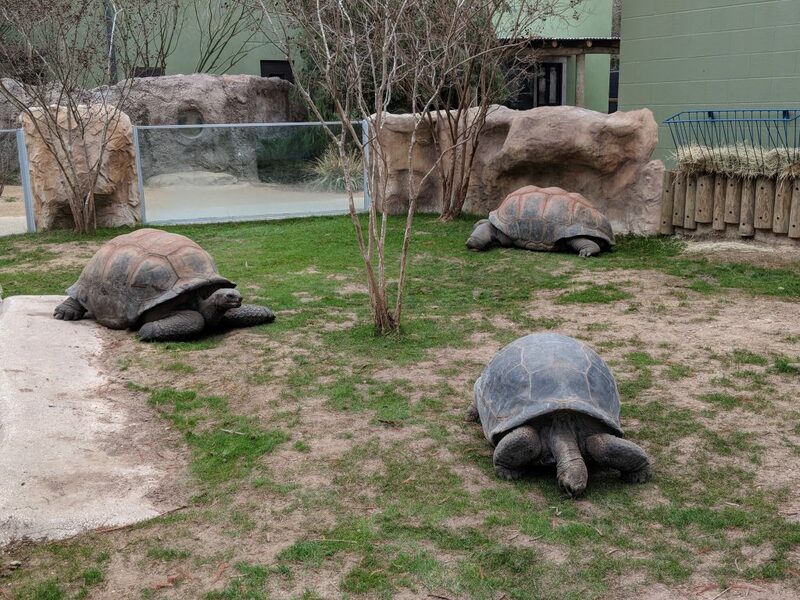 They were mostly just lounging around, eating grass. 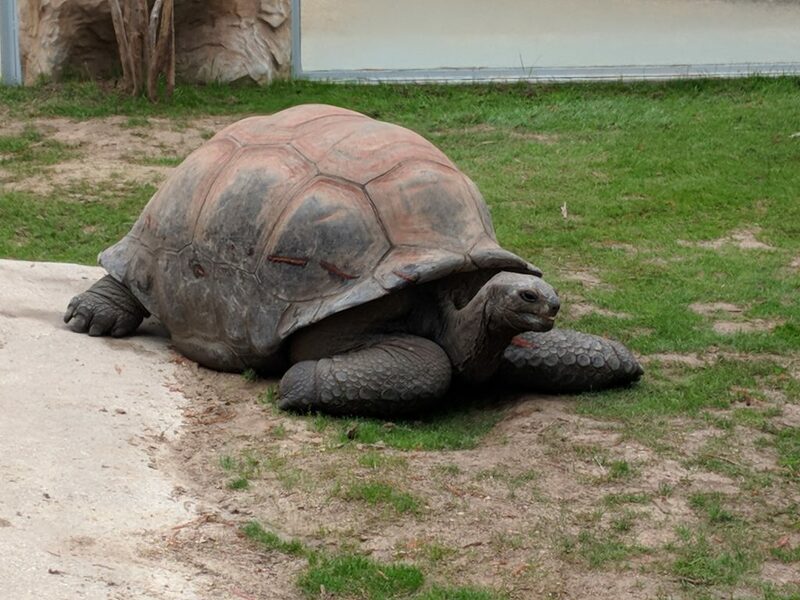 It sort of reminded me of Ralph (the desert tortoise we had as a pet while I was growing up…he’s still alive, healthy, and happy) on a much larger scale. Hangin’ out with the birds while brother rides the carousel. She was fussin’ because she got herself wedged in here rather snugly, but as soon as she saw my phone, she smiled, ha.